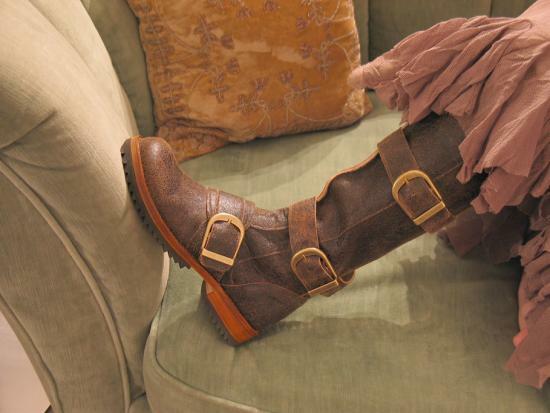 Jim Barnier Three Buckle Boot — These are the boots you want to take with you on the grandest adventure ever. A romantic warrior mixed with a little bit of Mad Max....worthy of a Steampunk airship captain! 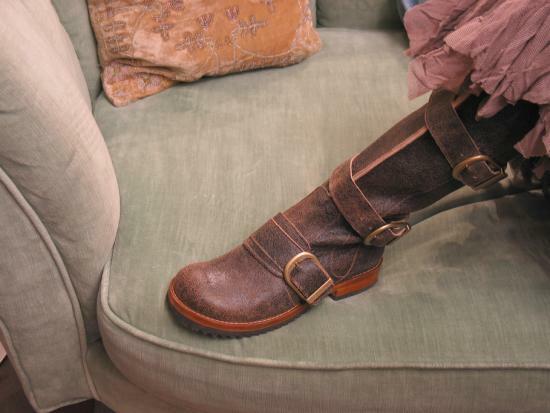 Over the calf length, super-soft distressed brown leather, with zipper and buckle closure. Women's sizes. Also available in Distressed Black.